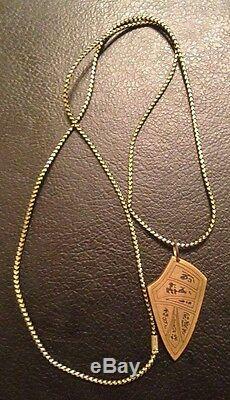 Star Trek Prop Screen Used Voyager Hero Necklace B'Elanna Torres from the episode Remember!!! 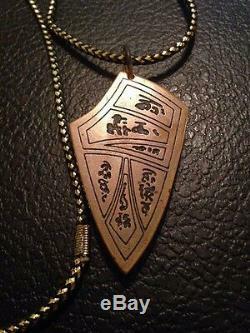 This is the Hero necklace prop made on metal and screen used. Also comes with one of the plaques listed for sale in the store. I have all 7 of the season cast plaques. This prop device was screen used. The Prop comes from a former employee of Paramount Studios. 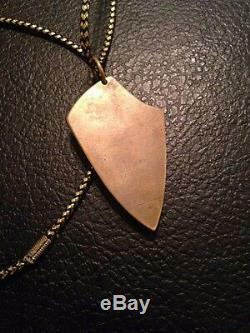 This is a one of a kind item and comes with a COA!! There will be approx 150 props from Star Trek shows available here in the next few weeks. 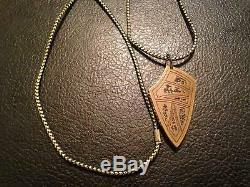 The item "Star Trek Prop Screen Used Voyager Hero Necklace B'Elanna Torres Remember" is in sale since Friday, July 21, 2017. This item is in the category "Entertainment Memorabilia\Television Memorabilia\Props\Originals". The seller is "zenspyder" and is located in Los Angeles, California. This item can be shipped to United States.